Stories of Filipino achievement in foreign shores have become common, and the notion of finding fortune or success overseas is pervasive. This is true even among Filipino brands and companies that have made it big in the homeland. Many have been expanding internationally over the past years. Among them is restaurant chain Gerry's Grill. Gerry Apolinario, the eponymous founder of the brand that has become a household name for remarkable Filipino cuisine, explains that while overseas expansion was a business decision, he's not solely interested in marketing the brand. 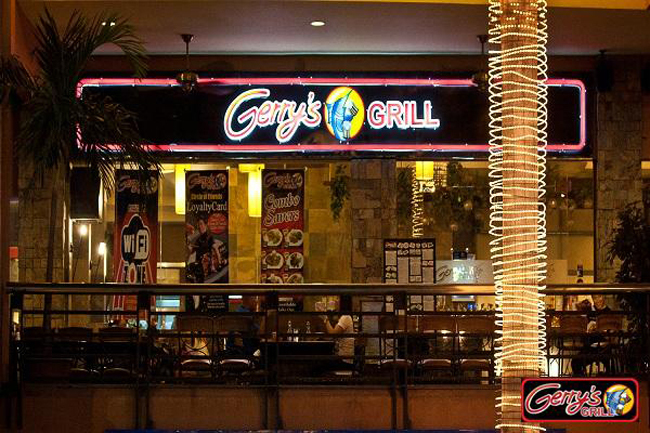 "It's not just Gerry's Grill," Apolinario asserts. "We want to promote Filipino cuisine, which, in our opinion, is well-accepted in terms of flavor. It's just that nobody has really gone out on a limb to promote it. That is our goal." Apolinario also frankly admits that he began expanding abroad because he was asked to: "In our experience here, especially when we had the big branch in Glorietta (Makati), we would get a lot of foreigners: British, American, Australian, and so on. We would find that they were very impressed by the flavors we gave them. The typical questions were, ‘Why aren't you in Australia? Why aren't you in the United States, selling this kind of cuisine?'" "The typical impression you get out of Filipino cuisine is that it's lutong bahay (home-cooked)," the seasoned restaurateur says. "It's oily, and all that. Not the type we have [at Gerry's Grill]. When foreigners get to try our cuisine, they are surprised that this is what Filipino cuisine is. ‘We didn't know,' they'd say, and ask, ‘Why don't you try [selling abroad]?' That gave us the inspiration to promote our cuisine abroad." 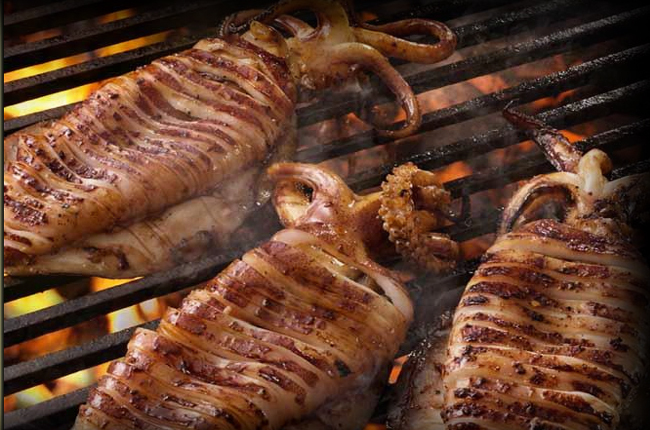 Other food-related Filipino brands have established their own locations abroad, even as Gerry's Grill aims to stand out as one of the most grounded and reliable in terms of its representation. Staying true to his oft-quoted maxim of maintaining consistency in food and service, Apolinario made it a point to keep as much of the Gerry's Grill experience from Manila intact abroad. He did have to make a few changes to his menu based on locally available ingredients (that is, tuna and kingfish are more expensive in the US, whereas steaks are much cheaper) and popular culinary mainstays of the area, but otherwise the branches maintain the same welcoming, feel-good vibe that has become a trademark of Gerry's Grill dining. Entrepreneurs and business owners who plan to expand abroad would do well to learn from Apolinario's experiences. The importance of a solid business plan cannot be emphasized enough, as well as the willingness to keep going. "Don't give up," he encourages. "It will be very challenging but it really comes down to how committed you are." He underscores the search for a good location as one of the biggest challenges. Aside from actually finding a viable location, it's important to be able to convince the landowners to support your business. "You have to convince them; you have to do your research," Apolinario states. "You have to prove to them that you are worth their while. Otherwise, you'll end up in the not-so-nice places. If you want to have a good place, you have to convince the landlord that you're legit, and that you're going to be a success story." He accomplished this in the US, and after years of operations, both branches in California are doing very well, much to the satisfaction of the commercial landowners. "There's always an opportunity to expand," says Apolinario. "Whether it's abroad, or even elsewhere here in the Philippines, it's up to you how you want your business to develop. You just have to keep it up, and don't be discouraged. If you find that the next stage for you really is to expand abroad, go for it."